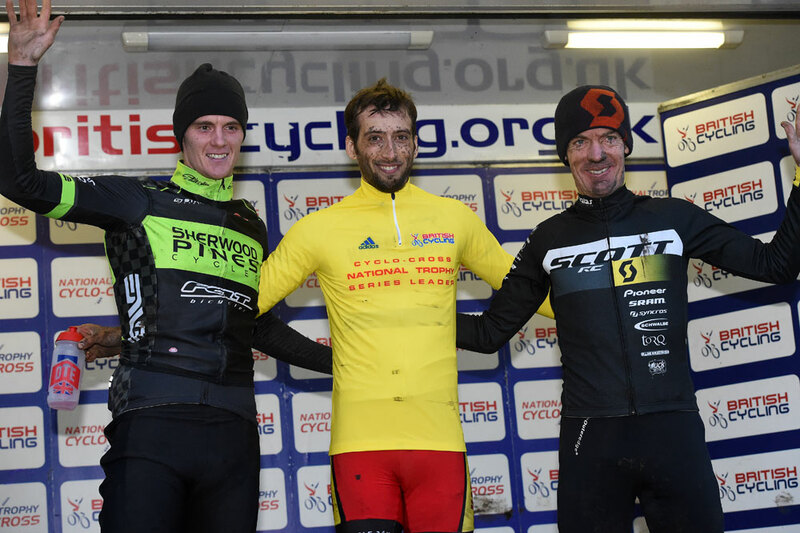 Ian Field (Hargroves Cycles) continued his dominant performance in the British Cycling National Trophy cyclo-cross series, winning all three rounds of the 2015/16 series so far. Field sealed his third consecutive series victory in Durham on Sunday to move further ahead of his rivals in the overall series lead. Very muddy conditions provided an extra element of challenge during the event, where Field put in a solo move at the mid-way point and was never caught. David Fletcher (Pines Cycles) came in for second place at 46 seconds, with Nick Craig (Scott Racing) in third at 55 seconds. 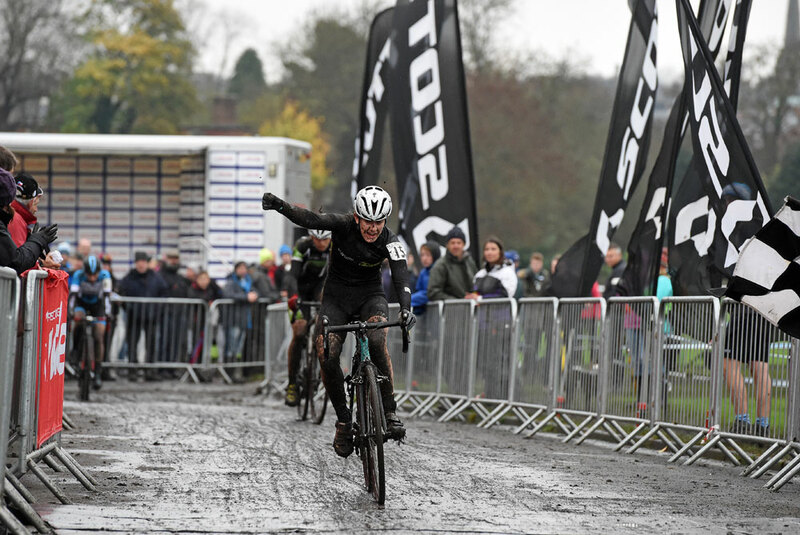 The women’s race win was much closer fought, with Bethany Crumpton (North West CC) engaged in a battle with Amira Mellor (Oldfield/Paul Milnes Cycles) throughout. 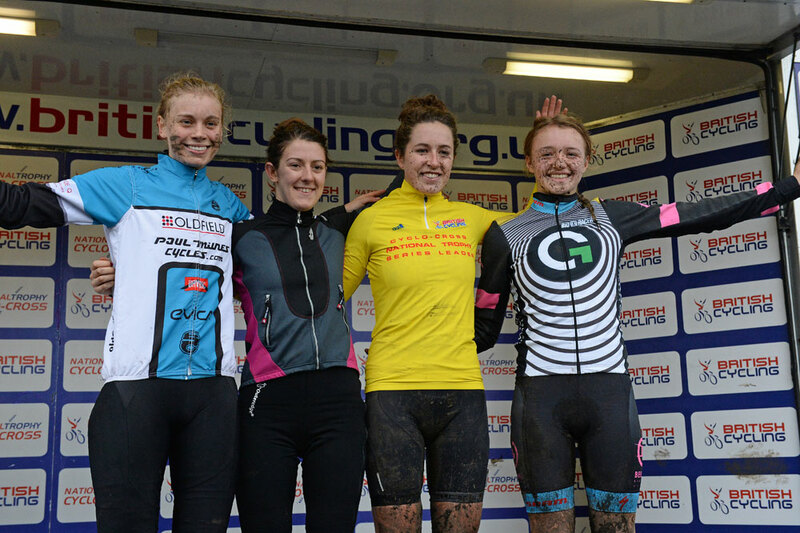 Crumpton prevailed in the final sprint to the finish line, to take her first ever National Trophy victory. 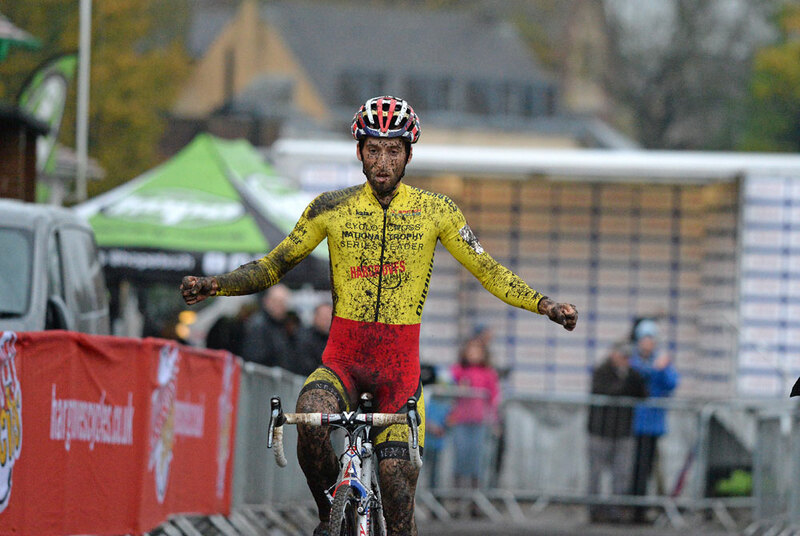 Mellor placed second, with Hannah Payton (Kinesis UK) in third. Field and Crumpton both lead the overall standings going into the fourth round of the series, which takes place at Trinity Park Showground, Suffolk, on Sunday November 29. Rounds five and six take place in Peel Park, West Yorkshire, and Milton Keynes Bowl, Buckinghamshire, on December 13 and January 17 respectively.